Members of the research team: Hager Ayé Clarisse, Akpe Yapo Hermann, Konan Josiane, Tanoh Fabrice and Seri Axel Blahoua participated in the 12th African Regional Workshop entitled : Researching into adaptative behaviours in contexts of change: interdisciplinary and multicultural approaches for early career scholars in Africa. 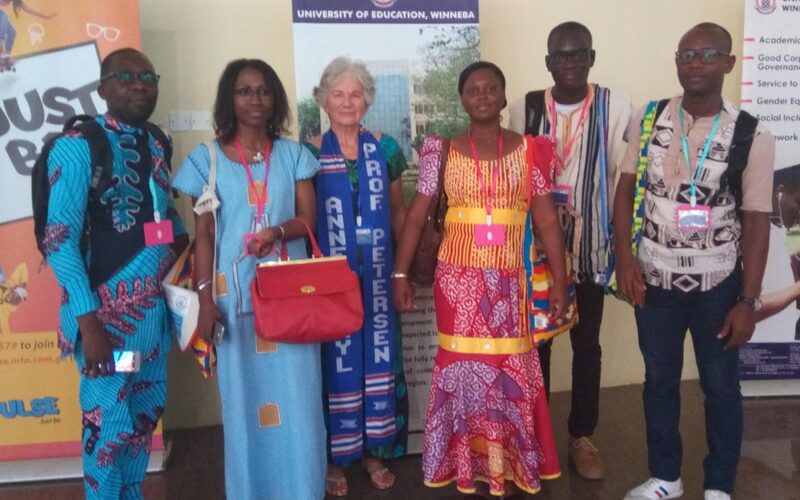 The event organized by the International Society for the Study of Behavioural Development (ISSBD) took place Oct 30-Nov 2017 at the University of Education, Winneba – Ghana. ISSBD is an international organization which promote scientific research on human development throughout the lifespan. During the workshop, junior researchers had the opportunity to hear lectures from Emeritus Professors among them Prof. Anne Petersen (University of Michigan, USA), Prof. Robert Serpell (University of Zambia, Zambia), Prof. Julie Robinson (Flinders University, Australia). The Ivorian team has reinforced their capacities on methodological approaches to the study of human development.The end of the 3 days conference was marked by an award ceremony for the participants, followed by a dinner gala.A excursion followed where all participants visited one of the historical vestiges of the slave trade in Ghana at the Cape Coast Castle.